I think it is fair to say that some business owners looking to make their digital presence felt have unrealistic ideas about online marketing. Although the internet promises huge financial rewards, the reality is that SEO takes time to produce significant results – and not all clients have the patience or the understanding of the challenges. Furthermore, it can be easy for SEO agencies to get carried away with producing past results which new clients imagine you can reproduce for them. But SEO doesn’t work like that either. Results differ from one industry to the next, so be very careful what you promise clients and manage their expectations realistically to avoid fall-outs and negative feedback. Many clients, especially business owners new to online marketing, need a reality check. Explain to them how SEO works and what online tools are available. Find out about their business and advise them what tools will work best for them and how you will use them to maximise their marketing efforts. Furthermore, you must take into account unforeseen setbacks due to algorithmic changes. Any SEO marketing practitioner worth their salt should have the insight to avoid search engine pitfalls, but with Google’s tendency for drastic changes, the future of digital marketing is unpredictable without a crystal ball. It can take between six months and one year before online businesses begin to see significant results for their SEO investment. Depending on the amount of competition, online marketing takes time to bear fruit so make sure new clients understand this from the very beginning. And be realistic about your time frames. Falling into the trap of over-promising clients in order to win contracts will only reflect badly on your brand further down the line if you fail to meet targets. It is not unheard of for a client to ask for a service you don’t offer or that you do not know how the results will turn out. Thanks to remote specialists it is possible to outsource a number of services, but until you start working with a third party contractor you do not know what results they can produce. Therefore, do not be afraid to tell a client you do not personally provide a particular service. If you do need to outsource work, let the client know and give them the option to look for a specialist in that particular field. Clients like to know the progress of their projects; are deadlines and targets being met? Email communication and social media updates are a given, but you should also be backing this up with regular reporting. Monthly updates should suffice unless the client requests otherwise. Business owners want to know what they are spending their money on and providing you can show your methods are producing results, they will be happy. Your client will measure your success on the amount of conversions they enjoy. 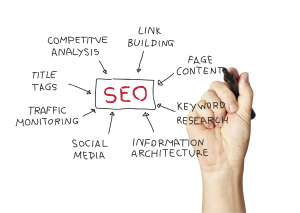 Although this is your ultimate goal, the initial stages of SEO are driving traffic and engaging with customers. Online consumers are savvy and do not jump into bed with the first online retailer that comes along, therefore your client should know that an increase in traffic may not necessarily mean an immediate increase in conversions. Managing your client’s expectations is crucial to the future success of your business. If you disappoint clients and do not receive positive customer feedback, it makes it very difficult to sustain a business.